Day in and day out, your heart pumps away faithfully, delivering oxygenated blood to cells throughout your body. But over time, a sedentary lifestyle coupled with stress and poor nutrition can lead to complications in your circulatory system that impede your heart's ability to do its job. Understanding how exercise impacts your cardiovascular system may motivate you to make time for regular daily exercise. 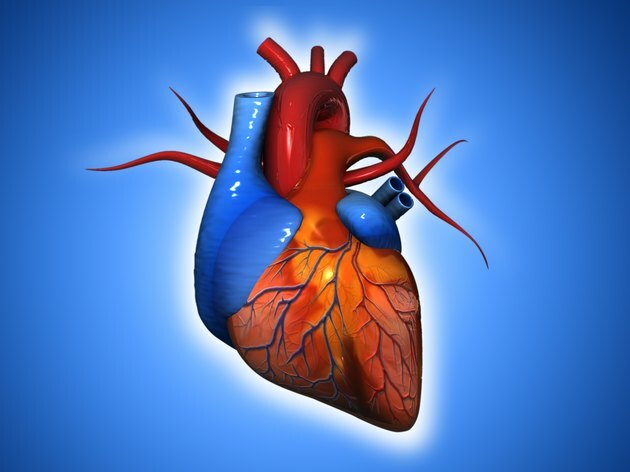 Each time your heart beats, your left ventricle contracts and forces blood into your arteries, vessels that deliver oxygen-rich blood to cells throughout your body. In the capillaries at the site of the cell, oxygen is extracted and exchanged for carbon dioxide, an end product of cellular metabolism. The veins then carry the CO2 to the lungs to be expired and replaced with fresh oxygen, a process called venous return. In a healthy heart, this cycle repeats itself perpetually without interruption. But your heart is a muscle and, like other muscles, it can become weak and flabby with disuse. Your blood vessels are also lined with muscle tissue that has elastic properties that are compromised when you fail to exercise. Like the water pressure in your home that fluctuates when taps are opened and closed, blood pressure increases and decreases in response to the force and frequency of your heart contractions. Blood pressure is also regulated by dilation and constriction of your arteries, redirecting blood to areas of high demand, such as the muscles during exercise. However, over time, damage to the endothelial lining and a buildup of lipids in the lumen can cause arteries to become stiff and inelastic, losing their capacity for constriction and dilation. Clogged stiff arteries can cause excessive resistance in the peripheral circulation, creating back-pressure and reducing venous return. There are two phases of heart function. Systole is the contraction phase, where the chambers expel blood, and diastole is the relaxation phase where the chambers are refilled. When venous return is restricted, the left ventricle receives less oxygenated blood, resulting in a low-end diastolic volume. When EDV is low, the ventricle fails to stretch, an important precursor to a forceful contraction and ejection of blood. Low EDV coupled with a weak heart muscle and excessive peripheral resistance can limit the heart's capacity to meet the oxygen demands of the body. During exercise, the rhythmic pump of your muscles facilitates venous return by forcing blood through the one-way valves that lead to the heart. What's more, increased lung activity creates a change in thoracic pressure that draws blood toward your heart. Regular exercise improves venous return by increasing total blood volume, increasing end diastolic volume, and increasing the size and contractile strength of the heart muscle. Exercise also increases the number of capillaries at the muscle where oxygen and CO2 are exchanged, reducing peripheral resistance. For optimal heart health, the American Heart Association recommends a minimum of 150 minutes per week of moderate exercise, or 75 minutes per week of vigorous exercise, or a combination of moderate and vigorous activity.